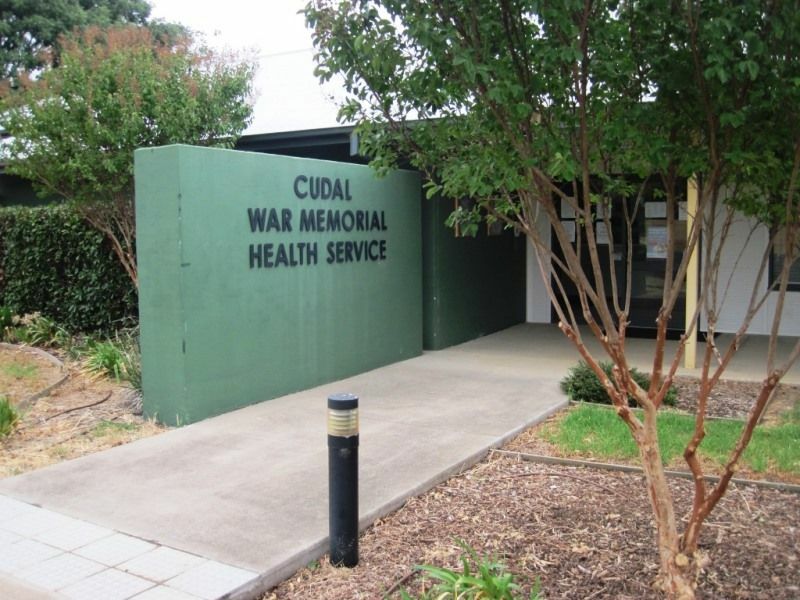 The Cudal War Memorial Health Service commemorates those who served in World War Two. The original hospital built in 1928 was considered inadequate for the needs of the town and a committee was formed and they purchased the former residence of the Shire Clerk for £530. The necessary alterations and additions were made and the building was opened as a War Memorial Hospital in 1951. This building was demolished in 2002 and a new complex was rebuilt on the site and opened in 2006. That a hospital be erected at Cudal to serve as a memorial to members of the district who fought and died in the present war, was the suggestion made at a public meeting at that centre on Saturday night. Mr. M. J. Hyland was the promoter of the idea, expressing the opinion that a hospital would be most suitable. He was supported by Messrs. A. K. Shannon, H. J. Balcomb and others. After discussion, it was resolved that the matter be left stand over for the present. Also that it be referred to the Hospital Committee in order that further information might be gained. Molong Express and Western District Advertiser (NSW), 31 August 1945. It is unique that when a commissioner goes to a town to open a hospital that the hospital does not cost the Hospitals Commission one penny for its erection. It is a great achievement and a grand memorial— one that the people of Cudal should be truly and justly proud of. This was stated by Mr C. Stinson, a member of the hospitals Commission, during an address when officially opening the new Memorial Hospital at Cudal on Saturday afternoon. The hospital was opened before a crowd of more than 300. After the unveiling of the plaques, which have been erected as a Roll of Honour from 1935 (sic) to 1945, by Mr. Stinson, additional donations towards the balance of the money, were called for by Mrs. George Rutherford, and in a very short time £1000 was collected or promised. Molong Express and Western District Advertiser (NSW), 6 July 1951.